Westwood Guest House01297 442376work Guest HouseWestwood Guest House is a luxury bed & breakfast accommodation in the beautiful Dorset resort of Lyme Regis at the heart of the Jurassic coast. The building as been extended and tastefully refurbished to the highest standards. The contemporary feel to Westwood offers much, much more than you’d expect from a guest house. We think you’ll be pleasantly surprised! 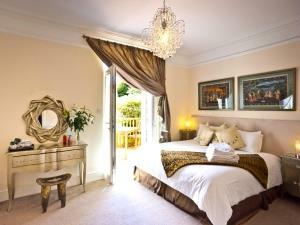 Each room has been individually designed to be comfortable, relaxing and features stunning views from every aspect. From the front of the house you can look over Lyme Bay, right across to Portland Bill and from the rear of the house you can enjoy wonderful woodland views. All our rooms have either Super King, King or Twin beds and feature large en-suite shower rooms, each one offers a host of features such as: flat screen TV’s, hairdryers, iron and ironing boards. Westwood Guest House is a luxury bed & breakfast accommodation in the beautiful Dorset resort of Lyme Regis at the heart of the Jurassic coast. The building as been extended and tastefully refurbished to the highest standards. The contemporary feel to Westwood offers much, much more than you’d expect from a guest house. We think you’ll be pleasantly surprised!